Energy Conservation is the generalised term used for the prevention of wasting energy. The term “energy conservation” is commonly defined as: “the reduction in consumption of non-renewable energy resources”. The main ideas behind energy conservation is in the saving of energy by turning “off” unused lighting on a frequent basis or by not over heating or cooling rooms and buildings using large radiators and air-conditioning units operating all day long. Energy efficiency and energy conservation are constantly being interlinked providing some of the key ideas to our understanding of the way things work in the real world and as such it is almost impossible to discuss one without the other. An energy efficient home will keep your family comfortable while saving you money. But energy conservation is not just about saving money by turning things “off”, it’s about improving what you have already and becoming more energy efficient through the use of modern technology. Many people think of energy conservation as saving energy because the latter term is used extensively when discussing issues relating to the depleted use of fossil fuel energy sources. Fossil fuels in the form of coal, natural gas & petroleum products have of course served us well for a long period of time and to this day still remain relatively cheap. But the demand for energy in the world is expected to increase even further over the next few decades with fossil fuels comprising a large proportion to the overall energy use. So what is the answer to our ever increasing energy needs. Well, technology will most likely have to step in and take over. As technology advances and micro chips get smaller its expected that within the next few years we can expect tiny little micro computers installed inside of just about everything to monitor its energy consumption and display it on a centralised display panel. While energy efficiency may be about adding insulation to your home or sealing draughty windows to keep it at the same temperature, thereby consuming less natural gas or heating oil. Energy conservation is about having your heating system work less by lowering the temperature in your home by a few degrees while still maintaining a comfortable living environment. You could even save more by not using it when you are out or during the night time when you are asleep. These small adjustments can help you conserve electricity and save more money. The conservation of energy is not just for our homes. Cars and trucks are available these days with more energy efficient engines than ever before and some can run on alternate power sources such as hydrogen energy or on electricity. Driving hybrid and fuel efficient vehicles that get over four times the miles per gallon more compared to larger gas guzzling 4×4’s or SUV’s makes a big difference because driving one of these fuel efficient vehicles the same distance consumes less petrol or gasoline. Also conservation is about driving your vehicle over fewer miles by combining car trips, car-pooling, and eliminating unnecessary travel to the local shops and malls as well as driving more slowly. Avoid keeping unnecessary items in your vehicle, especially heavy ones. 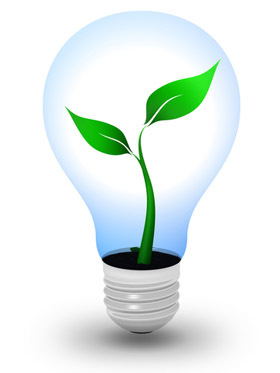 Energy conservation involves both reducing what we use and using it more efficiently. The terms energy efficiency implies that the an activity or task can be accomplished using less energy, while energy conservation implies that there is less need for a particular activity in the first place. In other words, conserving energy means less activity thereby reducing consumption. Both energy efficiency and energy conservation have an economic benefit, because they lower energy costs by reducing demand, as well as reducing the environmental impact of harmful emissions. The issue here of course is not that we use or waste energy in our daily lives, its about the type of energy we consume and the effects it has on other aspects of our lives, for example, our environment, our health and our general standard of comfort and living. There are many options and opportunities available for energy conservation in our homes. Renewable resources such as solar energy, wind power, small scale hydro and biomass pellets all show promise and potential as a viable alternative to conventional fossil fuels, or at least as a supplement to them. There are a number of renewable energy sources, but the best ones are those that are naturally sustainable, for example. Solar Energy: – Solar energy is free energy which comes from the sun. Solar photovoltaic panels take the sunlight (solar rays) and convert them into electricity as it would any other fuel. Solar power systems can be connected directly to the utility grid or have their generated power stored in batteries to be used during cloudy days or in the night time. What’s more is that once you have purchased the solar panels you have no real cost to using this free solar energy. Today, nearly all outdoor lights, buildings and even entire office blocks are being run on free and green solar lighting. Wind Power: – We will never run out of wind so why not put a wind to good use, as it makes a great source of renewable energy and nowadays many people are already doing just that. Single wind turbines are able to generate quite a bit of energy which can be used to power a whole family’s needs for electrical lighting and water pumping or used to capture large amount of power at once and then feed it into the local grid. In some locations, wind power is being used to power entire towns. Wind power is completely clean, green and being a component of solar energy, is renewable and sustainable. Hydro Energy: – Part of the beauty of hydro energy lies in its simplicity. Moving water (kinetic energy) spins a waterwheel or turbine (mechanical energy), which then drives an electrical generator (electrical energy). All you need is a river or stream with enough water flowing through it at the right speed and pressure, and you can set up a small scale hydro system that drives turbines and generators to power your home. Just as you can with your solar or wind power systems, you can design a system that is grid connected or stand alone to suit your needs. All of these renewable forms of energy are alternatives that you can take full advantage of and there are plenty more as well. Biofuels becoming a fast source of fuel taking over form petrol and gasoline in cars, vehicles and water heating boilers. Some larger cities around the world are taking food waste and even animal waste and turning that into biogas fuels and solid biomass products as well. In addition to the potential for using locally available renewable energy sources to meet a portion of our future energy needs, the efficient use and conservation of current energy sources also represents a significant opportunity for substantial savings. So Energy Conservation is therefore an attainable and obviously desirable goal. As you can see, renewable energy fuels are some of the best ways for us to use technology and conserve energy, and what’s more is that they are completely safe for the environment too. Simple changes can lead to significant savings and improve the quality of our lives allowing us to rest a little easier knowing that we are doing our part to help reduce our impact on the environment by conserving energy. Alternative Energy Tutorials, August 2013.